**Please do not go onto the property without a confirmed appointment first. :O)** Home is currently tenant occupied bringing in $500/M. Property will need some repairs. Close to I95 and the downtown. 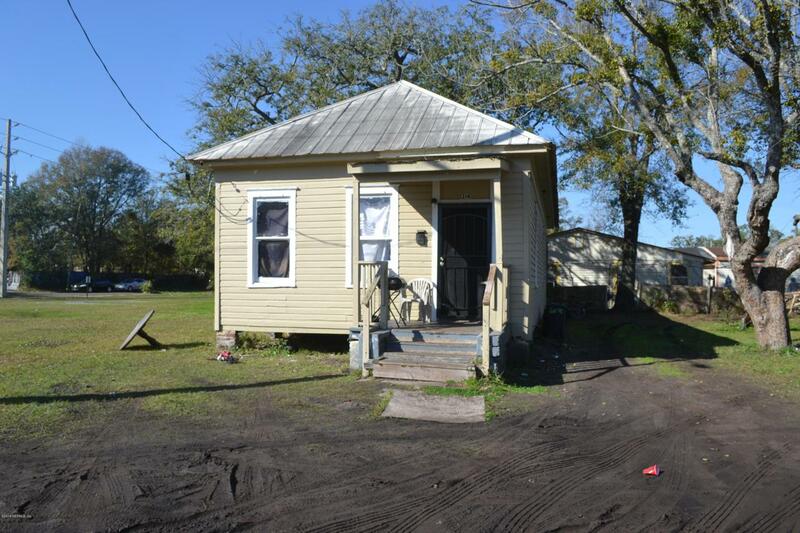 **Quit claim deed** Buyer will be responsible for liens and back taxes. Listing courtesy of One Realty Corp.
© 2019 Northeast Florida Multiple Listing Service, Inc. All rights reserved. The data relating to real estate for sale on this web site comes in part from the Internet Data Exchange (IDX) program of the Northeast Florida Multiple Listing Service, Inc. Real estate listings held by brokerage firms other than EXIT Real Estate Gallery are marked with the listing broker’s name and detailed information about such listings includes the name of the listing brokers. Data provided is deemed reliable but is not guaranteed. Data last updated 2019-04-20T15:25:26.05.